Blink and you might miss Burkeville. The Texas town boasts a four-way stop, a bank, a few businesses, and a school. If you ever find yourself passing through, keep your eyes open—you don’t want to miss Burkeville Church of God. There you’ll find some of the most down-to-earth, welcoming people you could ever meet. They’ll treat you with hospitality fueled by their love for the Lord, the family of God, and those not yet adopted into the family. The oldest Church of God in Texas is certainly not the biggest, but they’ve got a heart that exceeds the size of the state. 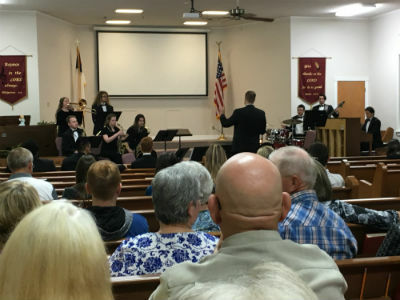 Recent upgrades and a deep desire to reach the youth and teens in their community warrant a closer look at the Christ-centered congregation. Pastor Mark Wilding came to the church in 2015 with a Wesleyan background. He’d been pastoring a church of up to four hundred on a Sunday in West Virginia before God called him south. He’d always pastored nondenominational churches, so when Burkeville called about an interim opportunity with the Church of God, he knew it was a good fit. After six months, the church asked him to stay. Mark knew God was orchestrating the whole thing, so he agreed and got ordained in the Church of God. “I’m not going to come out here and not really be a part of the Movement,” Mark remembers thinking. “I’ve got to go through the process.” Welcome to the Movement, brother! The beautiful Burkeville Church of God property. Offering perspective on the ministries of the church, Mark explains that it was only twenty years after the Church of God movement started in northern Indiana that this church in Burkeville came to be. Flanked by pines and fueled by the logging industry, the area is far from the hustle and bustle of Houston or Dallas. That makes ministry challenging and enriching at the same time. In an effort to stay relevant and reach more of the surrounding community, the church recently gave the interior a facelift. Newly painted walls instead of outdated paneling offer a brighter sanctuary, and a new multimedia projector has been useful in the worship services. Outside, the church added a long awning to keep visitors and longtime churchgoers protected from sun and rain. Pastor Mark is grateful for a church with several men who are willing and able to work hard. “Anything that needs to be done, they’ll do it!” he proudly exclaims. Music group from MACU presents a concert at the church. During the year, the church offers events and programs that strengthen the local body and point guests to the cross. From their annual homecoming service to their Fifth Sunday community sing and holiday dinners, they know how to fellowship one with another and beyond. What Pastor Mark really looks forward to is increased utilization of their gymnasium. Additionally. Pastor Mark is permitted to go into the public school and lead a five- to ten-minute Bible-based devotional. “You might not be able to do that in Houston, but here we can!” he exclaims. Why not take advantage of every opportunity they have to reach people for Christ? In Texas, across North America, and around the world, the Church of God is taking back what hell has stolen. Join the movement. Give life. Donate today at give.jesusisthesubject.org. 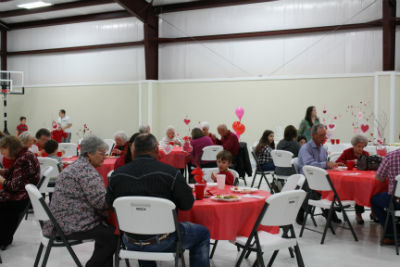 This entry was posted in All Church of God, Central and tagged building, Burkeville, Burkeville Church of God, country, expansion, facility, Mark Wilding, remodeling, renovation, rural, schools, small town, Texas, Texas Ministries, Tim West, TX, upgrades. Bookmark the permalink.